Commercial roofing poses specific challenges when it comes to roof repair or roof replacement. When it comes to commercial roofing companies, C&C Family Roofing has years of experience installing and repairing commercial roofing systems. Because commercial roofing faces unique challenges it is important to choose only the best commercial roofing contractors that have experience in making sure your building meets various standards and codes. Any issues that are not foreseen prior to completion mean more time and more money. Because a new commercial roof can a big investment it is important to have that investment protected. That is why as a GAF Master Elite Roofing Contractor we are able to offer our customers the Diamond Pledge No Dollar Limit Guarantee! This means that any manufacturer defects or workmanship errors are covered including the cost of materials. If you ever decide to sell your property, the Diamond Pledge NDL Guarantee is completely transferrable to the next owner. Not all roofing companies have the necessary experience or qualifications to perform commercial roofing. C&C Family Roofing has roofing experts with the required knowledge of commercial roofing systems and building codes to complete your repair or install. Different materials and different configurations are necessary when talking about commercial roofing. Energy conscious materials like those that repel sunlight can make a big difference when it comes to energy/utility costs. Did you know with technological advances in materials, commercial roofing systems are engineered to withstand heavy winds, rain, and even hail? These materials are built to withstand harsh climate conditions and remain sturdy and reliable throughout the years. Steel may be the most widely used on roofs, but in todays world plastics and fiberglass can work in conjunction with standard commercial roofing materials. Whatever your need may be, the roofing experts at C&C Family Roofing have you covered. At C&C Family Roofing, we are a full service roofing company with experience in both installations and repairs. 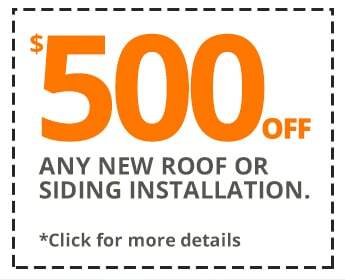 Regardless of your home’s design, you can rest assured we have a roof just for you and your budget. We are fully insured & bonded, and all personnel are fully licensed, and certified to ensure your experience with us is an enjoyable one. So whether your roofing needs are commercial or residential, count on C&C Family Roofing to handle everything from inspection to cleanup in a timely efficient manner. For more information or to schedule an appointment, give us a call today. We work year round and offer emergency roof repairs when you need us the most!